We are Fukushima-ed. Just add a “c” after the “u” and before the “k” and you will get the picture. Japan’s Gift that keeps on giving. The Fukushima plant is releasing extremely high levels of nuclear radiation directly into the ocean, air, and ground water. That’s not all. 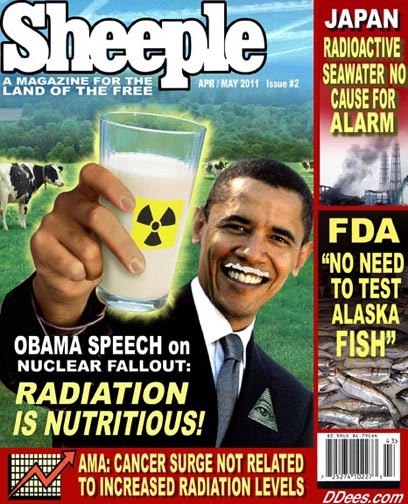 Just because Fukushima is not in the main stream news, does mean the crisis is over. 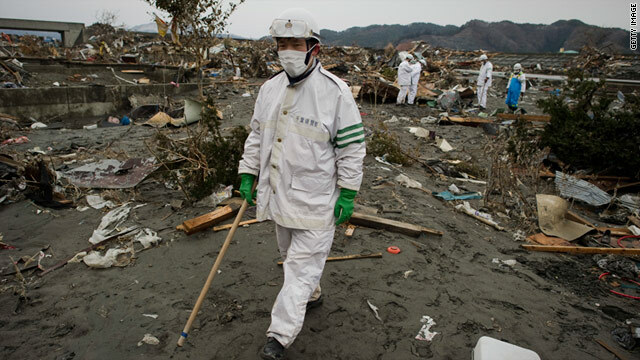 Almost three years have passed since the Fukushima nuclear disaster Fukushima, The Gift that keeps on giving is as serious now as it has ever been. We are Fukushima-ed. 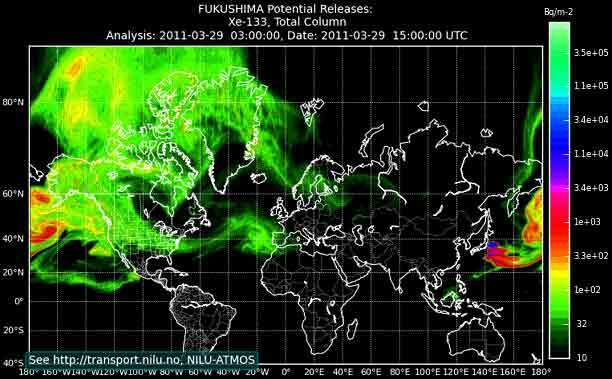 Radiation levels actually appear to be increasing around Fukushima. According to reports, the 254,000 Bq/kg of cesium identified is nearly 10 times higher than the amount detected in scorpion fish caught last August, suggesting that radiation pollution is increasing in the area, and through out the Pacific Ocean despite continued reassurances by TEPCO and government officials that the situation is under control. They call this under control? Yea, right! If you call this control, I would hate to see what out of control looks like. “A barrier built to contain the water has already been breached, the Nuclear Regulatory Authority warned. This means the amount of contaminated water seeping into the Pacific Ocean could accelerate rapidly, it said. There has been spate of water leaks and power failures at the plant, devastated by the 2011 earthquake and tsunami. Its operator, Tokyo Electric Power Company (Tepco), has been criticised heavily for its lack of transparency over the leaks.’Weak sense of crisis’. Tepco’s “sense of crisis is weak,” Mr Kinjo said. “This is why you can’t just leave it up to Tepco alone”.”Right now, we have an emergency, he added. If the underground barrier is breached, the watchdog warns, the water could start to seep through shallower areas of earth. Once it reaches the surface, it could start to flow “extremely fast”. Tepco admitted for the first time last month that radioactive groundwater had breached an underground barrier and been leaking into the sea, but said it was taking steps to prevent it. However, the head of a Nuclear Regulatory Authority task force, Shinji Kinjo, told the Reuters news agency on Monday that the countermeasures were only a temporary solution. 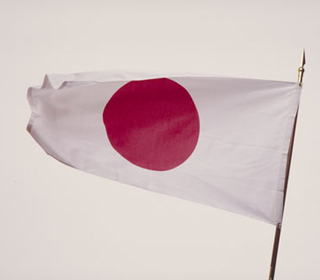 Tepco ‘in trouble’ you bet yea, and so are we. Don’t worry they have only poisoned half the world. “Tepco admitted on Friday that a cumulative 20 trillion to 40 trillion becquerels of radioactive tritium may have leaked into the sea since the disaster. It has been clear for months now that the operators of the Fukushima plant are in deep trouble, says the BBC’s Rupert Wingfield-Hayes. The only course of action, he continues, is to pump water out. 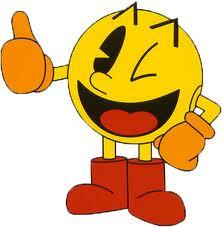 But this has to be stored, and more than 1,000 giant holding tanks surrounding the plant are nearly all full, he adds. Tepco said on Monday it plans to start pumping out a further 100 tonnes of groundwater a day. The head of the country’s Nuclear Regulatory Authority task force Shinji Kinjo told Reuters on Monday that the leak was an emergency, but he was worried the plant’s operator, TEPCO, had no sense of how to deal with it. “We understand that this discharge is beyond our control and we do not think the current situation is good.” Boy, is this an under statement, but they managed to use the word good! So it must be OK! Tokyo: Engineers are now facing a new emergency. 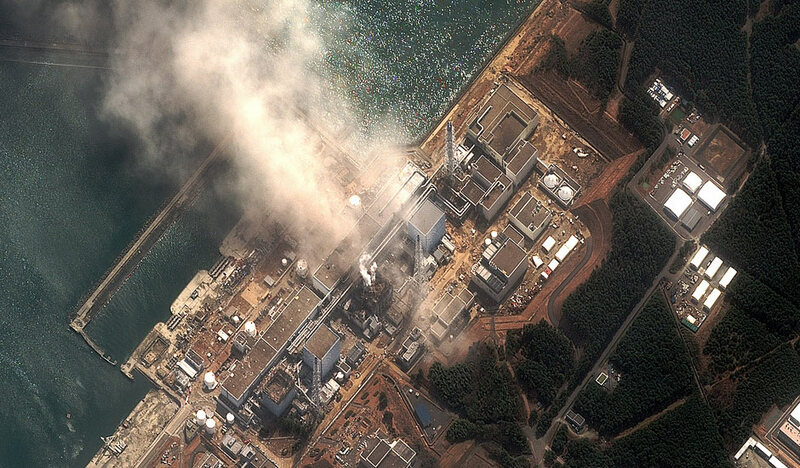 The Fukushima plant sits smack in the middle of an underground aquifer. Deep beneath the ground, the site is rapidly being overwhelmed by water. Hey, I have an Idea, of what to do with the radioactive water. Why don’t we just bottle the water and sell it to the Americans as spring water from Japan’s natural Aquifer. We could design a lead bottle with a glow in the dark cap for easy spotting during the electrical blackouts. We can call it “Tepco Juice” with all the active ingredients needed for a healthy glow. It’s now so high, the water will soon reach the surface. Then it will start flowing over-ground into the sea. Even if the government does step in, it’s not clear what it could do. The only other solution is to pump out the contaminated groundwater and put it in storage tanks. Most of them are already filled up. At least 400 tons of new water pours into the site every day. It’s going to continue for years and years. 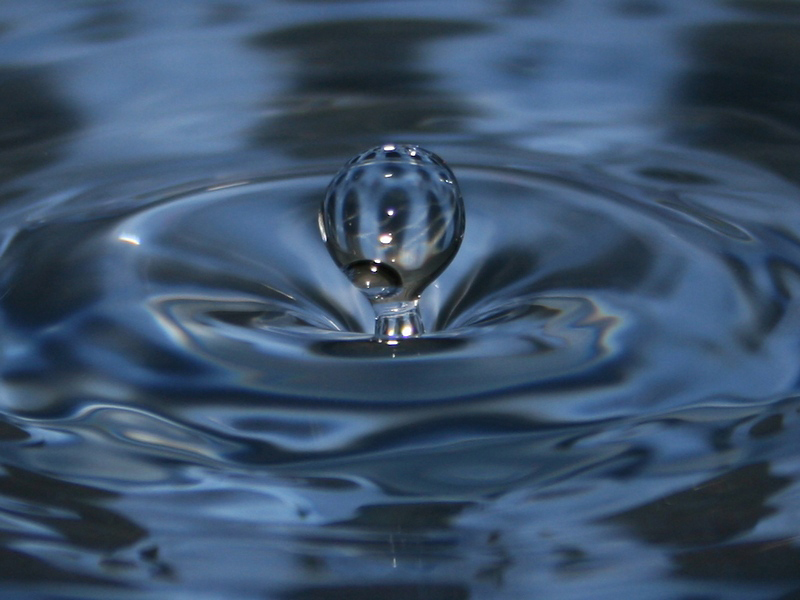 Fukushima’s water crisis has only just begun. So has the world emergency. Fukushima radioactive water leak is an ‘emergency’, and the fact that the barrier built to contain the water has already been breached just adds to the Fukushima crisis. The amount of contaminated water seeping into the Pacific Ocean could accelerate rapidly, Japan’s Nuclear Regulatory Authority said. Maybe their so clean because they are using the water from Fukushima to bathe. 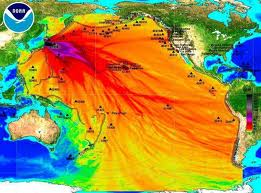 The operator of Japan’s crippled Fukushima nuclear plant has given its first public estimate of the size of the leakage of radioactive tritium into the Pacific Ocean since the disaster. Between 20 trillion to 40 trillion becquerels of the substance is estimated to have leaked into the sea since May 2011, said Tokyo Electric Power Co (TEPCO). That’s two years ago. It’s taken them this long to come clean and tell us. Well isn’t that special? So kind of them to give us two-year old data and release it this year as if the data is current. It was the first such figure TEPCO has released since a massive tsunami led to the accident in March 2011, that sent reactors into meltdown and forced the evacuation of tens of thousands of residents in the worst atomic accident since Chernobyl in 1986. It appears to me that this is far worse than Chernobyl. Making it the worst man-made disaster on the planet to date. It was only last month that the embattled operator confirmed long-held suspicions of ocean contamination from the shattered reactors, as Japan’s nuclear watchdog cast doubt on the utility’s earlier claims that the toxic water was contained in the facility. But TEPCO said the scale of the radioactive tritium leak, from May 2011 to July 2013, was around the level which had been allowed under safety regulations before the accident 22 trillion becquerels annually at the six-reactor plant. You have got to be kidding me. Around the level allowed. These folks are idiots. They should be chained to Fukushima and given 8 glasses of their safe level water per day so they don’t dehydrate while they clean this mess up. The utility said it would also estimate the amount of cancer-causing strontium which may have leaked over the years. The operator has also said the levels of underground water have risen as workers built shields to prevent groundwater seeping out into the ocean. The company, which faces huge clean-up and compensation costs, (boo hoo), struggled with a massive amount of radioactive water accumulating as a result of continuing water injections to cool reactors. A series of problems at the reactor site, including TEPCO’s secretiveness, has drawn blunt criticism at home and abroad. Foreign nuclear experts late last month blasted TEPCO’s lack of transparency over radioactive leaks. “These actions indicate that you (TEPCO) don’t know what you are doing… you do not have a plan and that you are not doing all you can to protect the environment and the people,” Dale Klein, former head of the US Nuclear Regulatory Commission, told a panel in Tokyo. Small amounts of cesium-137 and cesium-134, both radioactive elements. Have been found in at least 15 tuna that were recently caught off the coast of California. The finding suggests that the fish may have carried the contamination across the Pacific Ocean faster than, and months earlier than wind and water brought debris from the damaged nuclear plant across the ocean to the shores of Alaska and the Pacific Northwest. A fish caught as part of an ongoing Tokyo Electric Power Company (TEPCO) seafood monitoring program recently tested at levels of 254,000 becquerels per kilogram (Bq/kg) of radioactive cesium, or roughly 2,540 times higher than the maximum legal limit of 100 Bq/kg established by the government for seafood. 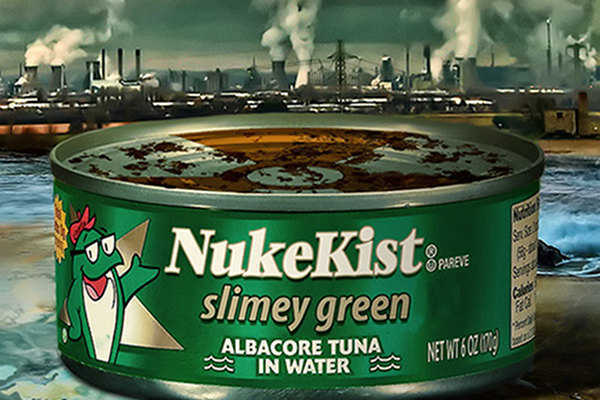 The contaminated fish, which has been dubbed “Mike the Murasai,” was caught in ocean waters fairly close to the shuttered plant nearly 24 months after the catastrophe, raising fresh concerns about the safety of seafood off the coast of Japan. Though the fish itself did not show visible signs of deformation or other radiation-induced damage, according to reports, the level of radiation detected in its tissue is high enough to suggest that the Fukushima plant is more than likely still releasing extremely high levels of nuclear radiation directly into the ocean. 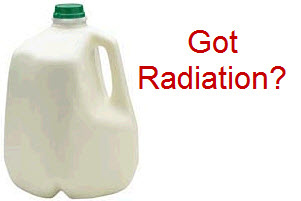 LOS ANGELES So now Japan’s radioactive fallout is showing up in milk on the U.S. West Coast. Not to worry, though. It turns out that traces of radioactivity are in many foods we eat, the air we breathe and the water we swim in. Hey don’t they have pools at Fukushima? Do you think any of the employees are swimming? That’s right because the President said so. Radioactive iodine was found in the milk in California and Washington state, most likely after a cow ate tainted grass or drank puddles of rainwater containing it. Iodine-131, the type that was found, is short-lived and decays fairly quickly, becoming harmless. Since this type of iodine is man-made, it isn’t normally found in the environment. 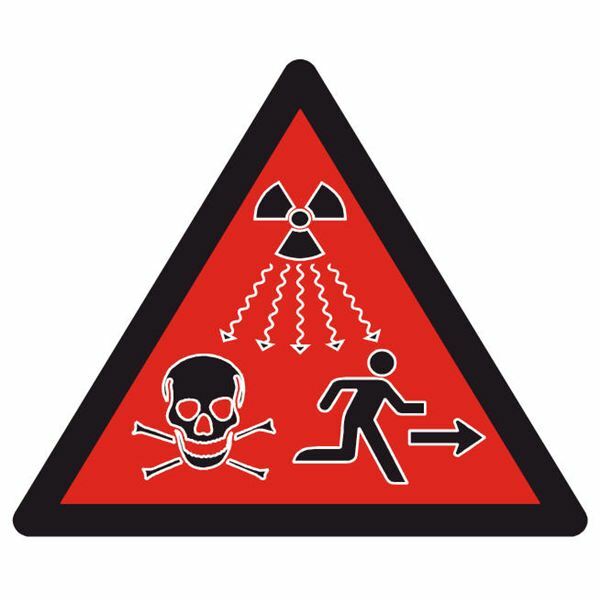 But we’re exposed to natural sources of radiation every day – most of it from radon in the air and, to a lesser extent, from cosmic rays. Did you catch that, Mind Fukushima? The radioactive element Iodine-131 is a man-made element. Not natural, Hello! Than they go on to say that the natural radiation we are exposed to everyday is of low levels and natural occurring. Natural doesn’t equal Man-made. Well there you have it. We have been Fukushima-ed. It’s the Gift that keeps on giving, and will for hundreds of years to come. Out of sight out of mind? In the Mainstream Media, Maybe so, But now I am thinking lead filled underwear. Any investors want in on the bottled water and/or lead underwear action? I can’t wear lead underwear. We are Fukushima-ed, I bet you didn’t feel a thing. Great post. I was checking continuously this blog and I’m impressed! Extremely useful information specially the last part I care for such information much. I was looking for this particular information for a very long time. Thank you and best of luck. to and you’re just too excellent. I really like what you’ve acquired here, certainly like what you are stating and the way in which you say it.